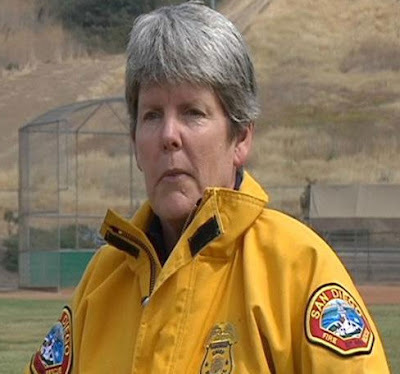 Chief Tracy Jarman will retire next month after 25 years with the San Diego Fire-Rescue Department, it was announced Wednesday. SAN DIEGO -- Chief Tracy Jarman will retire next month after 25 years with the San Diego Fire-Rescue Department, it was announced Wednesday. Jarman's retirement will be effective June 27, but she has agreed to remain with the department for 60-90 days to assist with the transition, according to Mayor Jerry Sanders' office. "This was not an easy decision," Jarman said in a statement released by the mayor's office. "I genuinely love this department and the people I work with, and it has been a great career. I'm proud to have served the citizens of San Diego as their fire chief. Jarman was appointed chief in June 2006. She succeeded Jeff Bowman, after he retired as head of the department. Jarman is the first woman to command the SDFRD. During her tenure, she helped increase the number of fire stations from 44 to 47, spearheaded the effort to get a second firefighting helicopter and helped replace the department's aging fleet. She also directed the fight against the 2007 wildfires. "Chief Jarman has done a tremendous job leading our fire department,"
"She is the consummate professional who has worked extremely hard to improve fire service throughout the city and across the region. While I am sad to see her leave, I wish her all the best in retirement". "Jarman was named the 2008 "Fire Chief of the Year" by the California Fire Chiefs Association. A national search will be conducted to find Jarman's replacement, according to the mayor's office.